Nations Press feature news Mar,fail to file expenses report! 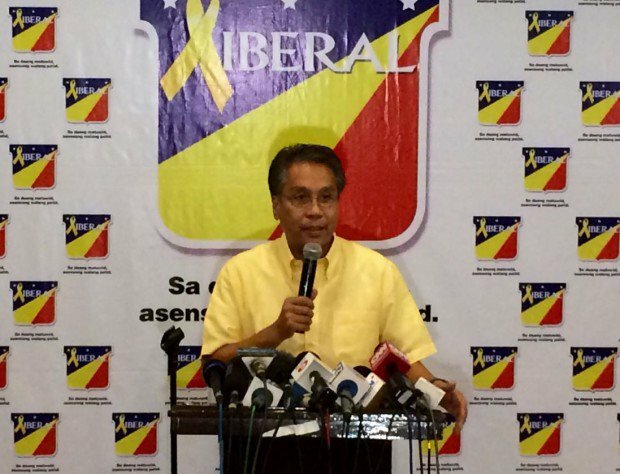 Mar,fail to file expenses report! President Aquino’s chosen successor Mar Roxas failed to submit his Soce on Wednesday, while other Presedential and VP candidates already submitted their soce before the deadline for campaign expenditure reports. Akbayan Rep. Barry Gutierrez, Roxas’ campaign spokesperson, said Roxas and the LP campaign team were still preparing receipts and other documents covering his expenses for the May 9 elections. Comelec Resolution No. 9991 imposes a fine of P10,000 to P30,000 for failure to submit the Soce for the first time depending on the position. The LP also failed to submit its own Soce, jeopardizing the assumption to office of Vice President-elect Leni Robredo and its other winning candidates. Robredo, Roxas’ running mate, submitted her expenditure report on Wednesday. But being an LP candidate, she is affected by the party’s failure to submit its own report. The LP and Roxas sent a letter to the Comelec on Thursday asking for a 14-day extension of the deadline to file their reports. “The primary reason is the voluminous number of receipts that have to be scanned and attached to the document in compliance with the rules and in the interest of complete transparency,” Gutierrez said in a statement. Comelec spokesperson James Jimenez said the failure of political parties to submit expenditure reports could have adverse effects on their candidates, especially those who won the elections.